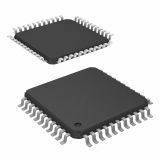 Atmel is a leader in the manufacturing of microcontrollers, capacitive sensors and other innovative solutions in the field of electronics. They are used in the industry, control systems, communications, computer configurations, automobile industry and construction and household. Atmel is established in 1984 and is the biggest supplier of microcontrollers in the world. 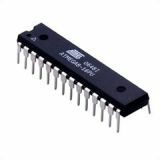 AT27C256R-45JU, 32Kx8, OTP EPROM, PLCC32 One-time Programmable Read-only Memory AT27C256R-45JU. Microcontroller Atmega8L 8PU, 8-bit, with 8K flash, DIP28 Microcontroller Atmega8L 8PU, 8-bit, with 8K flash, DIP28. Microcontroller Atmega16 16AU, 8-bit, with 16K flash, SMD Atmega16 16AU, 8-bit Microcontroller with 16K flash SMD.